But with a few simple tips and tricks in mind, any visitor can enjoy a fabulous trip to the City of Light and return home with a newfound appreciation for croissants, arrondissements and la vie Frances. Parisians get a bad rap for being unfriendly to tourists, but there’s an easy way to get plenty of helpful smiles from the locals. Whenever you walk into a restaurant or shop — or ask someone for directions — simply start by saying “Bonjour” (or “Bonsoir,” if it’s in the evening). If you pay close attention to how Parisians interact with one another, you’ll notice they always say “Good day!” in French when entering an establishment, so if you do this as well, your chances of having friendly interactions are much higher, especially from shopkeepers and waiters. More basic etiquette includes giving two kisses on the cheek when being introduced to someone French — note that you’re really kissing the air, not putting your lips on a complete stranger’s actual face. In most cases, you’ll turn to the left, giving your right cheek first, but, as always, follow the native person’s lead to avoid any mishaps. Finally, try to learn a few French words or phrases you think you might use often, like “coffee” (“café“), “bathroom” (“toilette“), “wine” (“vin“) and “the bill” (“l’addition“), for starters. Make sure to say a friendly ‘bonjour’ or ‘bonsoir’ to the waiter when entering a Paris restaurant. Image courtesy of Shutterstock. Newsflash: Most Parisians aren’t in love with the Eiffel Tower or don’t really give it much thought, and if they want panoramic views of Paris, they’ll instead head to a trendy rooftop bar. If you want to go to the Eiffel Tower, of course, by all means go, especially for the spectacular Bastille Day fireworks, but then head to other areas of town that are less touristy, and, well, more French. If you want to see Paris from up above, check out the speakeasy-inspired Le Perchoir or the intimate Mama Shelter rooftop in the 19th arrondissement. The views are worth it, even if they don’t include the Eiffel Tower. Image courtesy of Mama Shelter. You don’t have to gorge on only croque-monsieurs, steak frites and pot au feu just because you’re in Paris. Check out Korean hotspot Hero (a favorite of France-based TPG contributor Lane Nieset), or walk the Indian Mile along Rue du Faubourg Saint-Denis, with its colorful spice shops, fragrant Indian restaurants and Turkish food. The southern part of the 13th arrondissement is Paris’s Chinatown, and includes thriving Vietnamese, Thai and Laotian culinary scenes as well. The 1st arrondissement is the place to go if you’re looking for Japanese ramen. Also strewn about the city in every direction are great restaurants serving hearty Italian fare, Spanish tapas and, for those looking for a taste of home, American-style hamburgers. 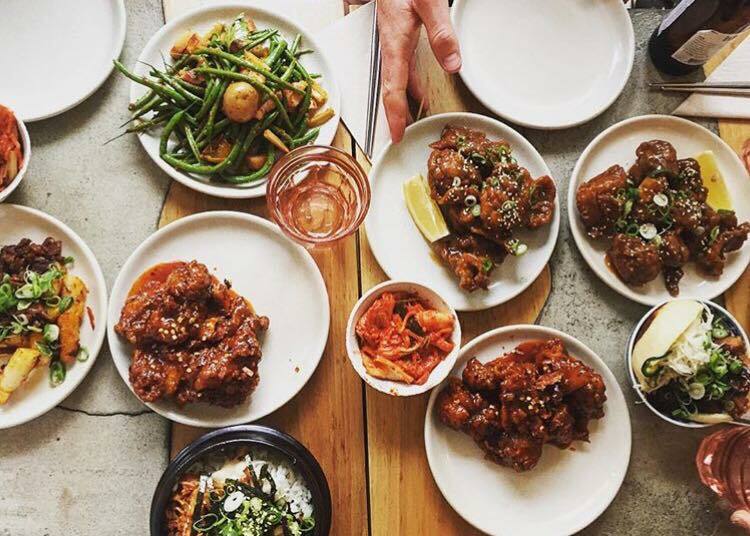 Indulge in delicious Korean food from Hero when you’re in Paris. Image courtesy of Hero’s Facebook page. Everyone talks about the Louvre, but if you love art, hit up the Musée d’Orsay, which has an intimate collection — including some of Monet’s best works, in my opinion — housed in what used to be a train station and what is now a soaring temple to light and beauty. 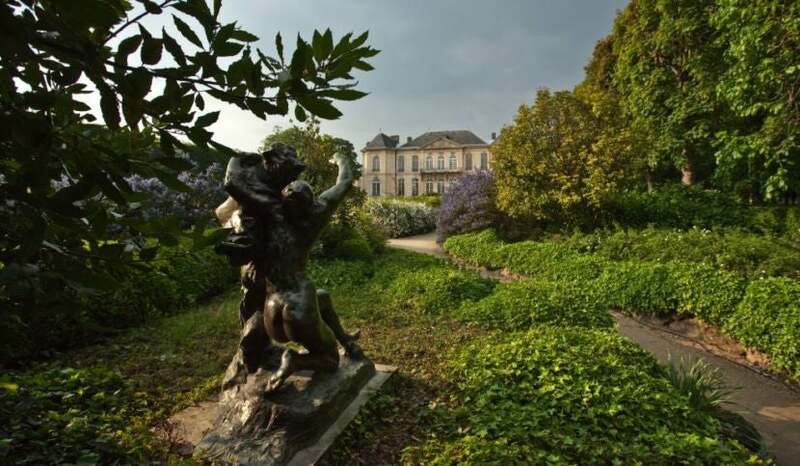 Or go to the Rodin Museum, a gorgeous mansion featuring the works of the artist, as well as lovely gardens. The Centre Pompidou, which houses modern works of the 20th and 21st century, opened in 2007 and features a unique, abstract design that’s made it an instant classic. If art isn’t your thing, you’re still golden — there’s a museum for everyone in Paris. You can visit the Paris Sewer Museum, the Louis Braille Museum or the Museum of Vampires and Legendary Creatures. There’s also a Museum of Fashion and Textiles (I mean, who doesn’t love a great calico print? ), and the Musée Dupuytren, which explores diseases and malformed body parts. If that’s not weird enough for you, Paris is also home to an entire museum dedicated to carnival artwork, a Knockoff Museum (dedicated to historical forgeries) and a Museum of Hunting and Nature. Got an oddball fascination? Paris will serve you well. The Rodin Museum and its gardens. Image courtesy of the Rodin Museum. Greenery isn’t the first thing that comes to mind when discussing the City of Light, but there are 450 green spaces and parks in the city. Start off with Square René-Viviani, which features the city’s oldest tree, planted in 1601. There’s also an abundance of palace gardens, such as the Luxembourg Gardens or the Tuileries Garden, as well as what’s considered to be the only natural park in the city, Le Jardin Sauvage Saint-Vincent. Hidden away in the 19th arrondissement is Paris’s fifth-largest park, the Parc des Buttes-Chaumont, featuring waterfalls, a lake and a host of beautiful flowers. The Jardin Alpin, a park dedicated to mountain flowers and species from the Alps, is hidden inside another park, the Jardin des Plantes. 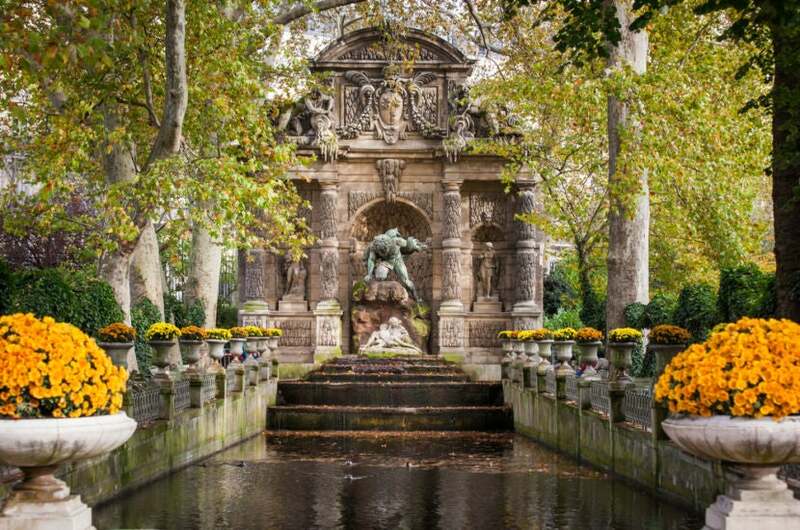 Pay a visit to the Luxembourg Gardens — you won’t be disappointed. Image courtesy of Shutterstock. It turns out libraries aren’t a thing of the past, at least not in Paris, which counts 830 of them. Don’t miss the library at the Centre Pompidou, which offers great insight into modern art. 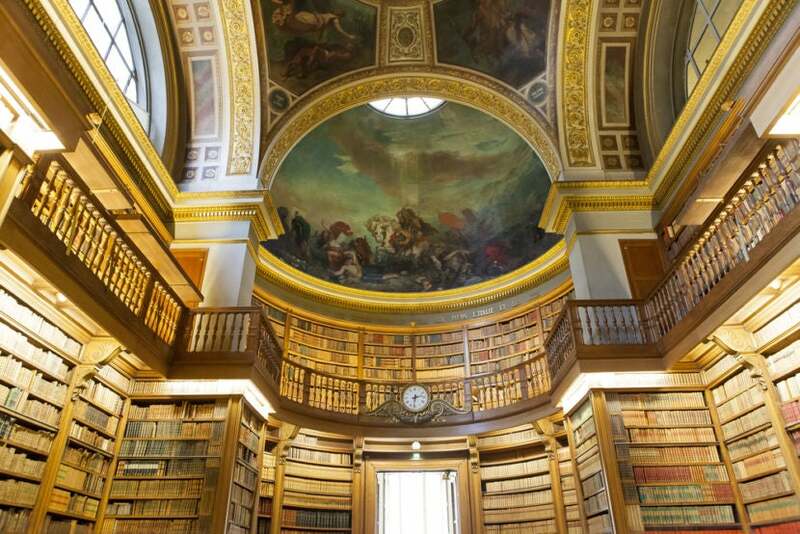 The Bibliothèque Nationale de France is home to more than 14 million books, with some dating back to the Middle Ages. Guided tours are available at the Arsenal Library, located in the former residence of the grand masters of artillery; the Richelieu-Louvois Library, which also houses rare coins and notable medals; and the François-Mitterrand Library, a minimalist structure that pioneered the use of woven metal in the interior. The library at the Assemblée Nationale, which features painted ceilings by Delacroix. Image courtesy of Shutterstock. You may recall that the Statue of Liberty was actually a gift from France, shipped to the United States in pieces in 1885 and reassembled at its permanent home overlooking New York Harbor in 1886. What you may not know is that there are actually several replicas of America’s leading lady in existence, and one of them is located in the center of Paris on the Seine. 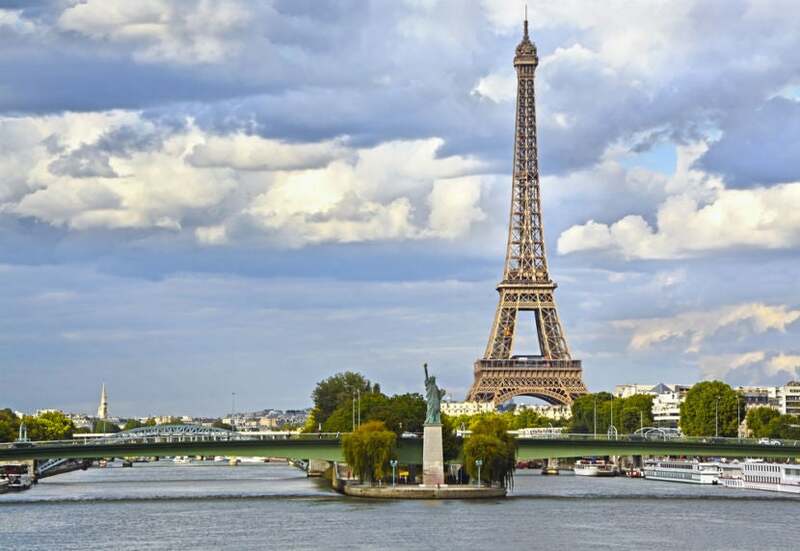 A gift to Paris from the American expatriate community that called the city home, it was erected on the Île aux Cygnes in 1889 to mark the anniversary of the French Revolution. A smaller version also stands inside the Musée d’Orsay. New York isn’t the only city with a Lady Liberty. Image courtesy of Shutterstock. 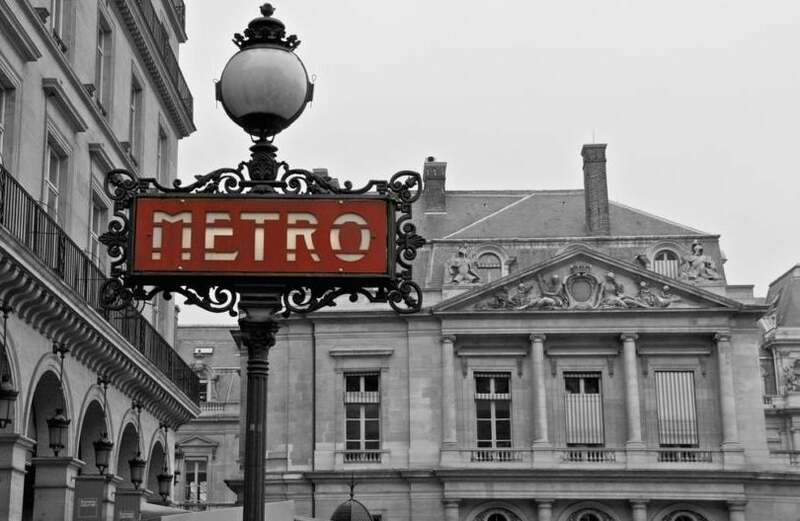 The Paris Metro has more than 300 stations and is the second-busiest metro system in Europe. The stations have been carefully placed so that any one of them is located just 550 yards from another, so you’re always only 550 yards away from transport to pretty much wherever you need to go. Paris does have Uber, but when traffic gets bad, it’s all about the Metro. Art lovers will love the Arts et Métiers station, where the platforms were renovated in 1994 by Belgian comic-book artist François Schuiten — inspired by the writings of French novelist Jules Verne, he made them look like the giant submarine Nautilus. A quick tip on the Paris Metro: If you can’t figure out how to get out of the car when you arrive at your station, look for a button or handle that opens the door. The Paris Metro is an expansive system, so use it. Image courtesy of Shutterstock. 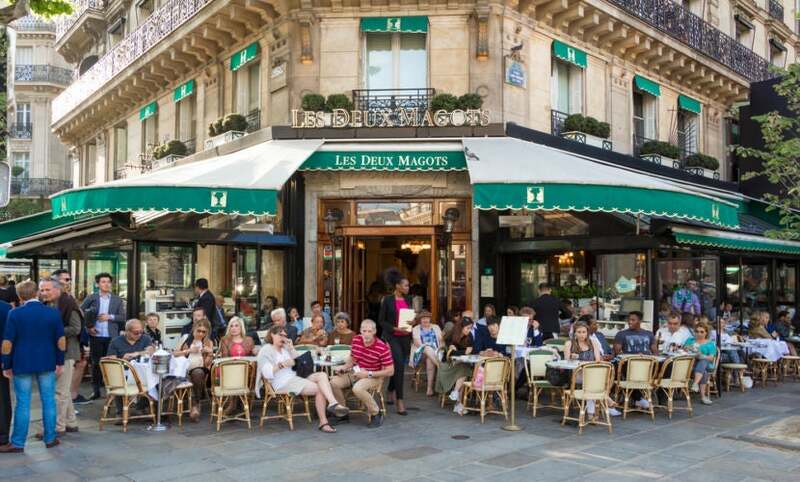 Of course you can stay in a fancy hotel and spend $15 for a coffee and croissant on a picturesque French patio. But Paris has incredible Airbnb rental properties and wonderful restaurants at affordable prices. In fact, my favorite stay in Paris included a stay at a beautiful three-bedroom Airbnb property featuring its own private patio and plenty of vinyls to play on a Saturday night for just $160 per night. My go-to lunch spot, traditional Parisian cafe Bô Zinc in the 16th arrondissement, has my favorite meal, duck confit, for about $12. Many gardens and parks in the city also offer free entry and street markets can be a great place for original, one-of-a-kind treasures. A general tip would be to stay away from the Champs-Élysées — you’ll find prices suddenly drop to reasonable levels off the avenue. Shopping at street markets is affordable, fun and popular with Parisian locals. Image courtesy of Shutterstock. The term “haute couture,” meaning “high fashion,” refers to garments that are hand-created and custom-fitted. Paris has a special chambre de commerce et d’industrie de Paris — basically a Ministry of Fashion — that has ruled on which fashion houses are eligible to be considered haute couture since the 19th century. As you can see, the French take their fashion quite seriously. So though you don’t necessarily need to strut around Paris in couture, do yourself a favor and don’t walk around in yoga pants with your neon-green fanny pack. But if that’s all you packed, and the designer shops along the Champs-Élysées aren’t within your budget, don’t worry. Street markets and secondhand shops are affordable alternatives to fancy designer boutiques, so head over to the hipster neighborhood of Le Marais for some great thrift-store finds. 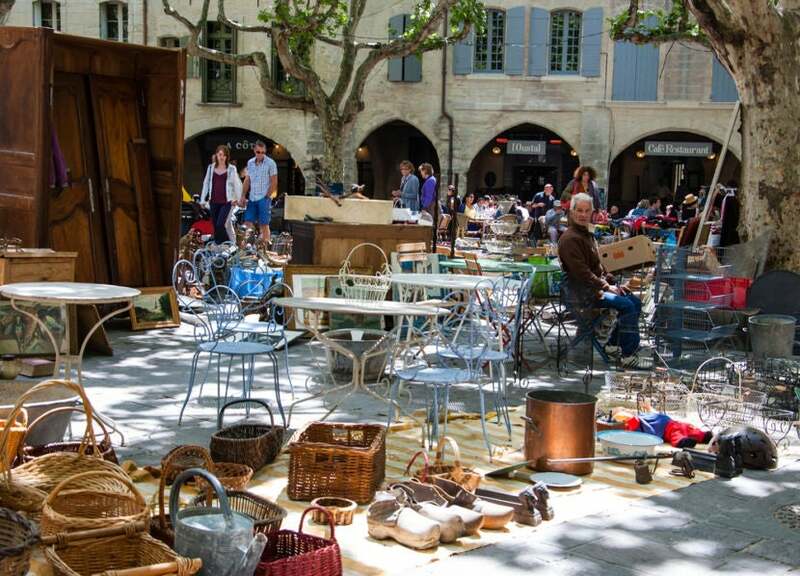 The street markets, called vide-greniers (basically garage or stoop sales, but without the garage or stoop), happen almost every weekend around the city and you can snag incredible finds — think vintage Jean Paul Gaultier, quirky knickknacks, timeless antiques and perhaps even something couture! You don’t need to be sporting runway fashions, but say no to fanny packs. Image courtesy of Shutterstock. Have you ever been to Paris? What are your favorite things to do there?